"Dan & I decided we wanted to not only dance to our first song but also sing it! We chose 'Fever' and wanted our dance to be fun, jazzy, & quirky to entertain our guests & kick off the reception. We only had 3 weeks and couldn't believe the routine Michele had put together in such a short time. Our guests were so surprised and thrilled. It set the tone for the rest of the evening & provided a great start to what would be a truly memorable night!" "Thank you so much for the dance lessons in preparation for our wedding. We looked so forward to the lessons each week and enjoyed getting to know you. It's ironic that our dance lessons became an oasis for us in those hectic few months. Again thank you for bringing dance into our wedding and our lives!" "When my partner and I wanted to learn the foxtrot for our upcoming wedding we had two hurtles to overcome. First, he naturally wanted to go to the left and I wanted to go to the right and second, we had 2 weeks to learn the dance. Michele taught us the steps in a logical, precise manner. If we didn't understand one way she would explain the steps using another method. This had us both going in the same direction-with rhythm! The lessons were so fun we are going back to learn another dance style. Thanks, Richard and Michael"
"Patty and I had so much fun taking swing lessons with you. My mother kept raving about how wonderful we looked on the dance floor, and even our hip hop-loving friends said the moves looked pretty cool. When we started out, I had trouble adding even two steps together, but by the end we could have taken on integral calculus. Thanks for everything, Michele!" "My wife and I figured if we were going to learn a dance for our wedding, we might as well learn something cool and totally different. We decided on the salsa, though our song, 'Dancing in the Moonlight', didn't exactly fit the Latin genre. Regardless, Michele encouraged our vision and after 10 sessions with her we had a solid grasp of the salsa basics and a really impressive routine for our first dance. Jess and I had a fantastic time with Michele...learning, laughing and enjoying the whole process. A talented teacher, Michele was very personable & effective in her approach. Our first dance is definitely one of our favorite memories from our wedding day!" 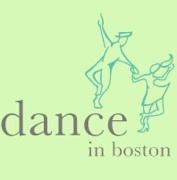 "Thank you so much for your wonderful dance instruction for the two of us and for my father. You did a remarkable job teaching all of us to move around the dance floor gracefully. Our first dance was amazing and everyone was clapping and hooting by the end! We impressed so many people. Some even said that we looked like professionals. The father/daughter dance went off without a glitch as well. It has been a true pleasure working with you from the beginning! With gratitude." "Our tango was the highlight of our wedding. The applause when we snapped our heads in unison will be a memory that we'll cherish forever! You helped to make our wedding the most fun, memorable and entertaining. We received so many compliments. We look forward to taking more lessons from you again soon." "We just wanted to send you a note to say thank you so much for teaching us our first dance! It was absolutely one of the highlights of the wedding for us, and we're so very glad we did it. We had a wonderful time at the lessons and you did an amazing job making us look elegant and graceful! We would wholeheartedly recommend you to anyone who would like their first dance to be something special." "Kristin and I have been meaning to drop you a note to let you know how fantastic our "first dance" went during our wedding. We really nailed it!!! I'm not sure if we are ready for "Dancing with the Stars", but we went into that dance with so much confidence and excitement. I think folks were blown away. Once again, thank you for your patience and guidance in our first dance. Kristin and I will always remember "I Only Have Eyes for You" and our dance." "Not only did we receive a standing ovation but we would like to give you one as well!! Our friends were cheering "best first dance ever" as we finished and took our seats. You were a wonderful teacher and we had so much fun learning the steps. Everyone was definitely amazed as we progressed from one dance to the next, thank you for pushing us to do the medley. That was by far one of the most memorable parts of the evening for Rich and I. As soon as we have some spare time we will be back for more lessons. Thanks again"
"I wanted to let you know that our wedding and our first dance were both fantastic. I had questioned if we should bother with dance lessons during an already very busy time. I am so glad that we did. Our first dance was one of my favorite things from the wedding. Peter and I did it flawlessly and had fun doing it too. After seeing how much trouble Peter had with just the basic steps and how quickly I got frustrated with him I didn't believe we would be able to do it . It was your patience and excellent teaching that made it happen!" "I just wanted to thank you for helping us with our first dance. We had so much fun taking lessons - something I am quite certain Kevin did not expect. The dance was perfect. We ended at just the right time. Everyone complemented us on the dance and some even said it was the best first dance they had ever seen. We couldn't have done it without you. PS Check out my fingers, they actually were together!" "Thank you for your wonderful work with us while we were in Boston. You’ve made an enormous difference in our relationship to dance (after 35 years of telling me that he “can’t dance,” Marty now asks me to practice every single evening!). We enjoyed getting to know you and, of course, are very grateful for your instruction. I hope we will be able to arrange future lessons with you when we’re back in Boston." "We hope you enjoy these photos. As you can see, our families and guests were quite surprised and impressed with our dancing! Thanks for being such a terrific teacher. Taking lessons with you was definitely the highlight of our wedding planning process and being able to dance confidently at our reception made it so much fun!" "Our dance lessons were worth every penny! It felt great to have a perfect first dance in front of all our guests. We have not seen the video yet but will send you a copy when we receive it. Thanks so much."